Apple introduced its iWork for iOS, Mac OSX and iCloud (Keynote, a presentation program; Pages, the word processing; Numbers, the spreadsheet application) targeted at home and small business users. Each of them allows users to password protect it with built-in encryption. If you want to secure iWork documents from prying eyes, below we will explain you how to password protect iWork documents (Pages, Numbers, and Keynote) on iOS, Mac OSX and on iCloud. Note: If you set a password to a file on your iPad or iPhone, it will also require this password to open this file on Mac and iCloud. Choose "Set Password", entering the password and a hint to help you remember the password if you forgot it. After that, your password is set successfully. 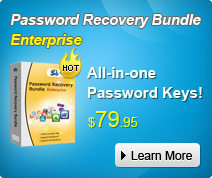 Select "File" in the menu bar and click on "Set Password." Enter a password password and a hint to help you remember the password if you forgot it. 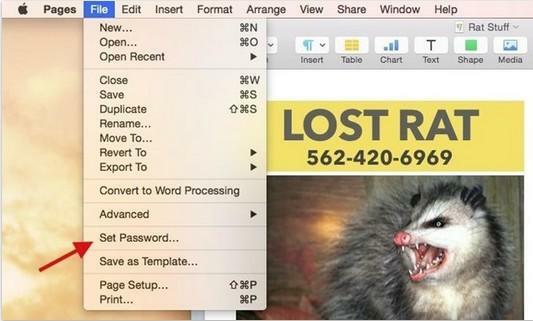 Click on "Set Password" to set password for your iWork files. Choose the Wrench icon to access Settings and again choose "Set Password"
Now you must have a clear idea about how to password protect iWork documents on iOS, Mac OSX and on iCloud. Please be free to share it with your friends. For more Mac password tips, click here.